More than 200 of the best and brightest talents in the Alberta magazine industry gathered in Calgary on March 8 to honour the winners of the Alberta Magazine Awards. The annual event, staged by the Alberta Magazine Publishers Association (AMPA), showcases the outstanding work of magazine professionals from across the province, judged by industry leaders from across North America. The awards gala kicks off the 2018 annual Alberta Magazines Conference, which brings together some of the most innovative thinkers in the industry from across Canada, the U.S. and the U.K.
“The Alberta Magazine Awards program honours and celebrates the work of Alberta’s magazine creators – art directors, writers, photographers, editors and illustrators. Collectively these individuals bring passion and insight to our unique Alberta culture, and ensure Alberta voices and stories are shared and heard throughout the province and beyond our borders,” says Suzanne Trudel, AMPA’s Executive Director. Awards were presented for excellence in magazine content published in 2017 in 20 Showcase Awards categories and five Achievement Awards categories. Eighteen Bridges, a magazine grounded in narrative journalism that explores ideas, politics and people, was named Magazine of the Year. Judges noted that the combination of restrained and effective design, and its ability to engage readers through compelling and relevant stories, carried the magazine into the top spot. Redpoint Media & Marketing Solutions group publisher Joyce Byrne received the Achievement in Publishing award. Byrne, described as a publishing polymath, has long been a champion of magazines, the people who make them and readers who enjoy them. Byrne has had her hand in creating magazines in a range of categories including trade, politics, literature, business and city life. She has not only defined excellence at numerous publications, but volunteers as an industry builder who has contributed her time and talent to industry associations including AMPA, IRMA, Magazines Canada and the National Magazine Awards Foundation. Avenue Calgary scored again when Jaelyn Molyneux received the Editor of the Year award for her accomplishments with the magazine. Lisa Cook, New Trail editor-in-chief and 2017 recipient, presented the award and said the judges agreed Molyneux has had great success expanding Avenue’s reach through all channels and is setting the standard in the province. Best New Magazine was awarded to newcomer League, a magazine of photographic art from the League of Landscape photographers, created by Samantha Chrysanthou and Darwin Wiggett. See the full list of Showcase Awards finalists and winners and Achievement Awards recipients below. 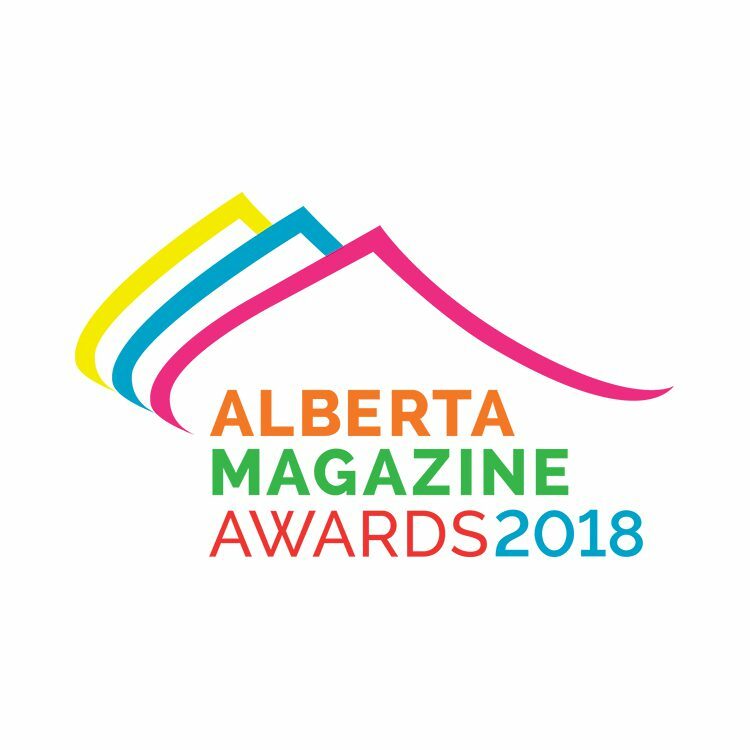 We invite you to view the finalists’ work at conference.albertamagazines.com/awards and join us in congratulating them on social media using #abmags18.